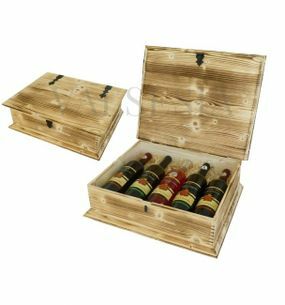 Carriers and boxes for wine are popular and elegant solution for those who like endowing a bottle of wine. 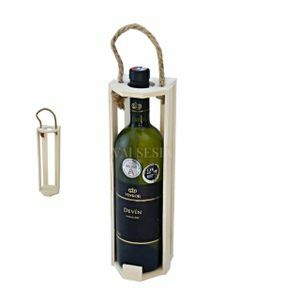 With donated wine in wooden support or tape to donate wine and tasteful interior accessory that will find its place in any private wine cellar. 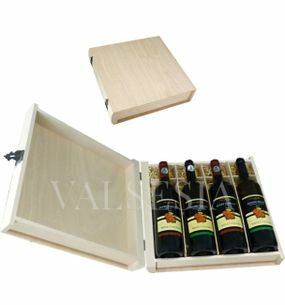 REPA WINERY Gift box with the logo of REPA WINERY for 1 bottle Popular gift wrapping - quality wine REPA WINERY combined with a gift pack of natural wood creates a harmonious visual impression and pleasant appeal to every lover of good wine. Gift pack suitable for any social occasion. 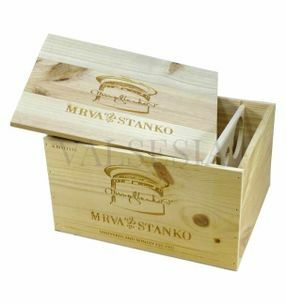 Darčekové balenie Gift packaging - wooden box Mrva & Stanko Exclusive 12 x 0.75l Original, unique gift box for 12 bottles brands Mrva Stanko natural wood with engraved logo and emblem of the winery Mrva & Stanko. Elegant, exclusive gift pack that is also the most important opportunities. Darčekové balenie Gift packaging - wooden box Mrva & Stanko Exclusive6 x 0.75l Original, unique gift packaging made from natural wood with engraved logo and emblem winery Mrva & Stanko. Elegant, exclusive gift packaging suitable for the most important occasions. 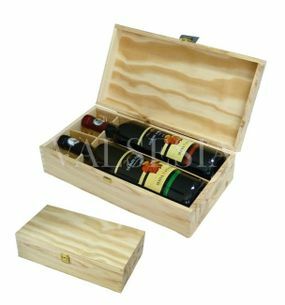 Darčekové balenie Gift packaging - wooden book 3 x 0.75 l Elegant gift pack of three wines with natural wood shaped the history books with a metal bond. The combination of a light natural wood, metal accessories and decorative wood shavings acts truly representative. 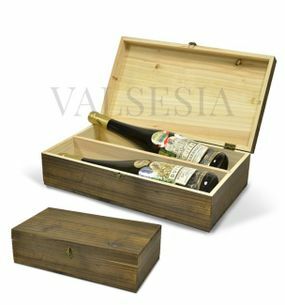 Darčekové balenie Gift box - wooden book 3 x 0.75 l with logo winery Mrva & Stanko The elegant gift packaging with the logo of one of the best Slovak wineries - a beautiful gift pack of three wines with natural wood shaped the history books with a metal bond. The combination of a light natural wood, metal accessories and decorative wood shavings works really representative. Great gift pack suitable for any occasion. 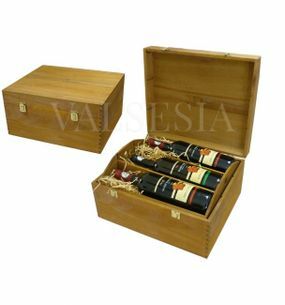 Darčekové balenie Gift packaging - wooden book 4 x 0.75 l Elegant gift pack of four wines made from natural wood shaped the history books with a metal bond. The combination of a light natural wood, metal accessories and decorative wood shavings acts truly representative. 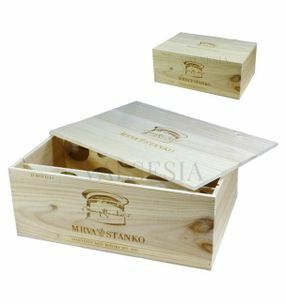 Darčekové balenie Gift box - wooden book 4 x 0.75 l with logo winery Mrva & Stanko The elegant gift packaging with the logo of one of the best Slovak wineries - lovely gift pack of four wines with natural wood shaped the history books with a metal bond. 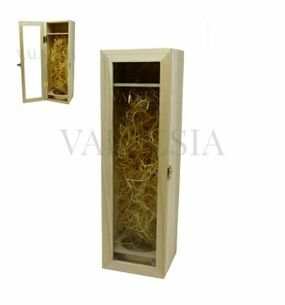 The combination of a light natural wood, metal accessories and decorative wood shavings works really representative. Great gift pack suitable for any occasion. 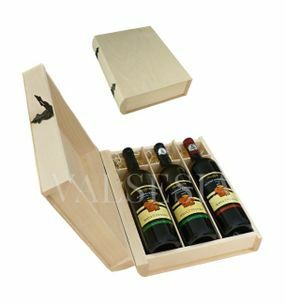 REPA WINERY Gift Set 3 x 0.75 liters REPA WINERY Elegant yet affordable gift set of three excellent wines favorite wine REPA WINERY natural wood. Popular gift pack even if company presents at the end of the year and so on. J. & J. Ostrožovič Wooden gift box with the logo of J & J Ostrožovič 6 x 0.75 l Original, unique gift packaging made from natural wood with engraved logo of the popular Tokaj wine J & J .. Ostrožovič elegant, exclusive gift pack that is also the most important opportunities. 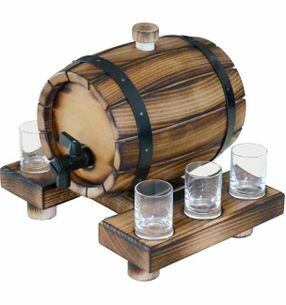 Darčekové balenie Wooden gift box for 2 bottles Drevená darčeková kazeta na 2 fľaše vystlaná drevenými pilinami. 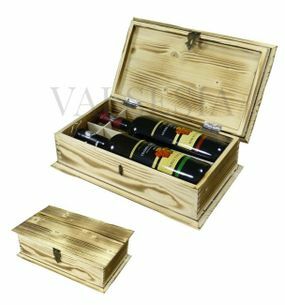 Darčekové balenie Wooden gift chest wine flamed 5 x 0.75 l Wonderful, impressive gift pack that is suitable for the most prestigious social events. 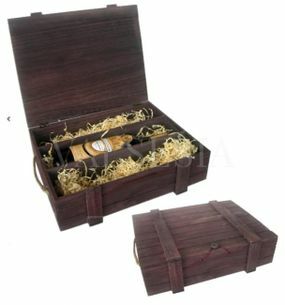 Elegant design with beautiful wood finish, beautiful and decorative metal fittings inside the straw will appeal to even the most demanding ..
Darčekové balenie Wooden gift case Mrva & Stanko 2 x 0.75l Wonderful gift pack of two bottles with two wine glasses and an original wine funnel with Slovak emblem prestigious winery Mrva & Stanko. A great present suitable for the most precious moments of life. J. & J. Ostrožovič Wooden gift carrier with cutouts and logo J & J Ostrožovič for 2 bottles Elegant yet affordable wine gift pack from natural wood. Popular package even if company presents at the end of the year and so on. J. & J. Ostrožovič Wooden gift carrier with cutouts and logo J & J Ostrožovič for 3 bottles Elegant yet affordable gift pack cut-outs to display the labels on the three wines made from natural wood. Popular package even if company presents at the end of the year and so on. 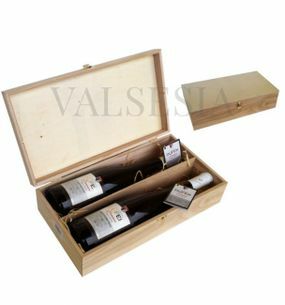 Darčekové balenie Wooden gift packaging for wine - brown 3 x 0.75 l Nice and popular gift pack of three wines made of stained natural wood, which combined with decorative straw inside operates pleasant kind, but elegant. Suitable for any social occasion. 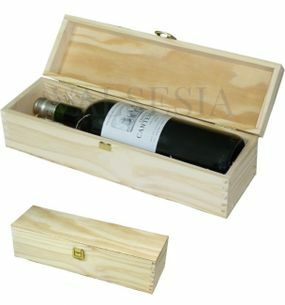 Darčekové balenie Wooden gift packaging for wine 1 x 0.75 l Popular gift package in light natural wood, which combined with metal fittings and decorative straw inside pleasantly appeal to every lover of good wine. Suitable for any social occasion. 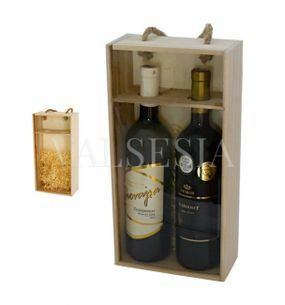 Darčekové balenie Wooden gift packaging for wine 2 x 0.75l Nice and popular gift pack for two wines in light natural wood, which combined with metal fittings and decorative straw inside operates pleasant kind, but elegant. Suitable for any social occasion. 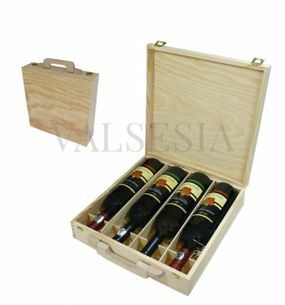 Darčekové balenie Rack for 1 bottle of wine - glassed Elegant yet affordable gift pack of wine with retractable front part of plexiglas. Popular package even if company presents at the end of a pod. 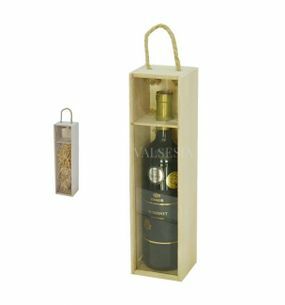 Darčekové balenie Rack for 1 bottle of wine - glassed C13 Elegant yet affordable wine gift pack with slide out the front of the Plexiglas. Popular package even if company presents at the end of the year and so on. 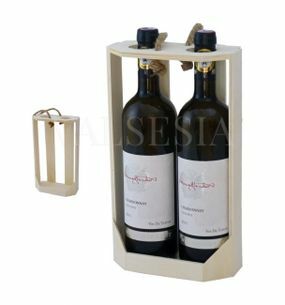 Darčekové balenie Carrier for two bottles of wine - glassed Nice gift box for two bottles with retractable front part of plexiglas. 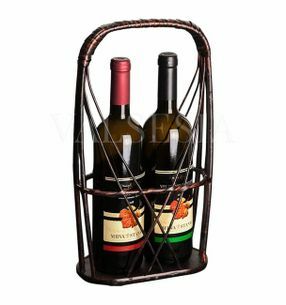 Wines are stored on the decorative straw that makes a pleasant impression of so wrapped wines. Darčekové balenie Carrier for 3 bottles of wine - glassed Nice gift box for three bottles with retractable front part of plexiglas. 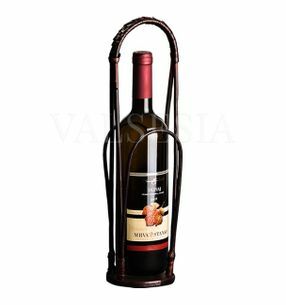 Wines are stored on the decorative straw that makes a pleasant impression of so wrapped wines. 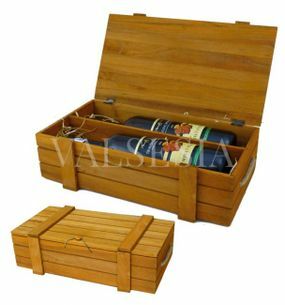 Darčekové balenie The carrier wicker 1 x 0.75 liters Very popular affordable solution gift box, especially popular among companies in the compilation of gift sets for its business partners. It has universal application - whether as prezent when visiting or as a company thanks to the end of the year. 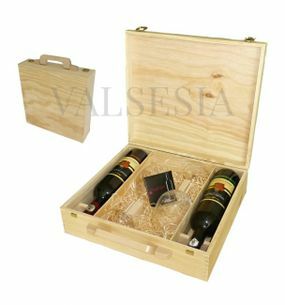 Darčekové balenie The carrier wicker 2 x 0.75 liters Very popular affordable solution gift box, especially popular among companies in the compilation of gift sets for its business partners. It has universal application - whether as prezent when visiting or as a company thanks to the end of the year.